For issues of incontinence during the night, these Pillow Cases is a heavy duty alternative to bulky waterproof bedding. 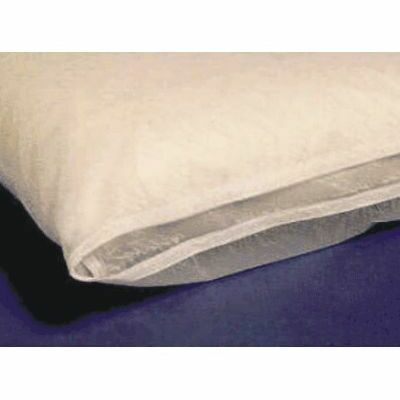 Made from a durable PVC, it has been tested as waterproof and flame retardant with a closing flap down the side to completely encase the pillow for added protection. When it comes to cleaning, this pillow can be wiped down with warm water and neutral detergent while also being suited to both hand and machine washing. Effectively providing a barrier between your bedding and heavy soiling, these heavy duty pillow cases provides peace of mind and comfort for every resident. Consider pairing this pillowcase with our Quilt Cover Set for Single Beds.